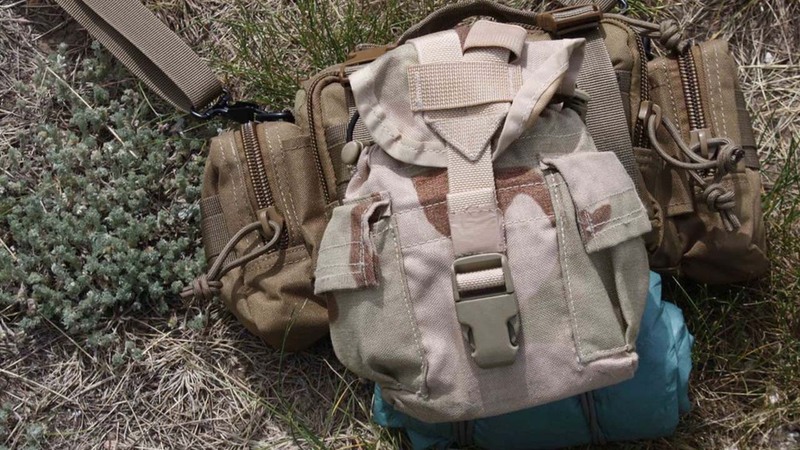 Usually, building a bug out bag is limited by the space within the bag and the weight of its contents. 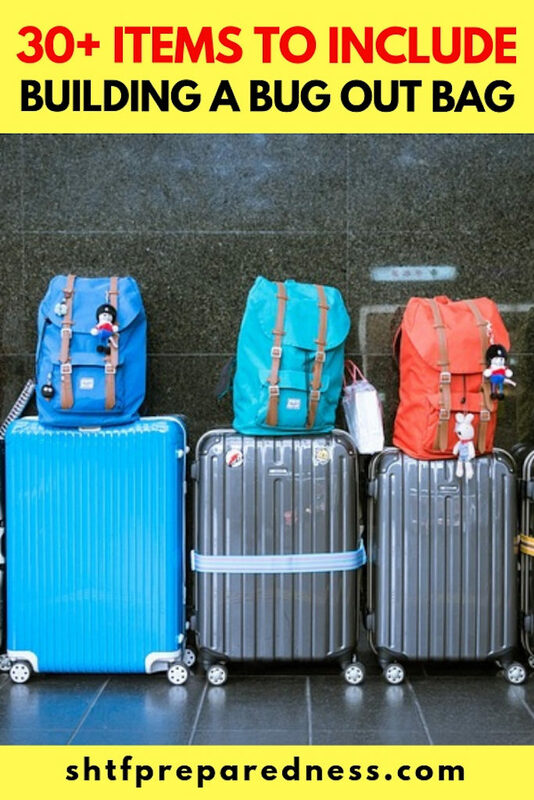 However, there are also situations where many items in the bag may not be appropriate, such as an airport. Think of everything you have or want to have in your bug out bag. Many of those items — a full water bottle, knives, guns, lighter, sharp tools and pepper spray — would all be confiscated by TSA checkpoints before you could even get into the airport. Now, as you can guess, flying isn’t exactly the best option when SHTF. However, sometimes you do need to travel, and, like it or not, abide by TSA guidelines from the entry security checkpoint to exit security checkpoint. The good news is that there are many items which you can still take with you on a plane (and then you can fill in the gaps once you land). These items can help you survive a bad situation, so you stand a fighting chance to get home. Be prepared for the worst by staying ready. Keeping that in mind, here are 35 items you can include in a bug out bag which will be TSA approved when you travel. Watch – If you’re not already wearing a waterproof watch, then it absolutely needs to go in your bug out bag. Watches can be great ways to navigate and track progress across the terrain. Flashlight – Make sure to pack any batteries it may need so that they don’t accidentally drain if the light gets turned on in transit. Compass with mirror – Choose a compact, lightweight option. Headlamp – Take the batteries out for transit, if possible (same as the flashlight). GPS with maps chip – Make sure it is charged. Cellphone with extra battery pack – Make sure it is charged. AM/FM radio – Pack batteries in an extra bag, so that they don’t accidentally drain. Whistle – Make sure no fire starting element is attached otherwise it may be confiscated. Any proper bug out bag will have some way to store water, along with food. When SHTF you need to make sure that your body is getting the hydration and nutrients that it needs to make smart decisions, move and fight, if necessary. Here are a few diet-related items that TSA won’t take from you. Empty water bottles wrapped with duct tape – You can’t take water through most airports, but you can take empty bottles and then fill them up once you’re through. Smaller bottles are easier to store. Just make sure that they are clean and that the cap seals tightly. Wrap duct tape around the bottles for easy storage of the useful tape. Water purification tablets – In the event that you end up somewhere where you can’t just fill up your water bottles, then you may need to take water from sources of unknown sanitation. To avoid getting sick, keep a tiny bottle of water purification tablets which kill waterborne contaminants which cause disease. Metal cup – During a prolonged survival situation, you may need to boil water, whether to purify water for drinking or cleaning, or for food preparation. Make sure to include a metal cup which can be heated over a fire, such as stainless steel or titanium. Energy bars and nuts – Include food which will stay good no matter the environment. Soap – Small hotel-sized bars are better for carrying. Pain medication – Any pain medication, such as Ibuprofen, will do. Dry pills are better than liquid capsules, as liquid capsules can melt together in extreme heat. First aid kit – Include all the basics like Band-Aids, gauze, etc. Sanitary wipes – You never know when you may need to clean something important like a wound. Toiletries – Include common everyday necessities such as a toothbrush, small toothpaste and floss. Face masks – In the case of an airborne contaminant or outbreak, having a mask which is capable of filtering out fine particle matter is a must. Copies of ID and cash – There is truly no way of knowing what may happen. In the case that you are separated from your wallet, make sure to have spare copies of ID and extra cash in the bag. Matches – Get matches which are easy start or anywhere matches, where dampness would impact them less and start your fire quicker. Firestarter – As a second means to start a fire, include a fire starter tool. Just make sure it is within tool length requirements and does not have a sharp metal end. Zip ties – Include a handful for a variety of uses. Paracord – Again, include this cord for use in a variety of setting and applications. The 550 Paracord is a good place to start. Air Traveler Swiss Army “Knife” – While you couldn’t take a real Swiss Army knife, you can take an Air Traveler version, which has a blunted nail file, tweezers, mini scissors, and a line cutter. Multitool – In a slightly upgraded version compared to the Air Traveler, a multitool, such as the Leatherman 831488 Multitool, is travel-safe due to no folding knife, but has a variety of tools included, such as: carabiner, tweezer, pliers, nail file, scissors, spring action wire cutters, flat and Phillips screwdrivers and a bottle opener. Small fishing kit – A small kit of line and lure could help sustain you if need an inhabited water source. Two Ziploc bags – Good for any number of uses, make sure to pack the big one gallon sizes. Mylar space blanket – While it may seem unnecessary, you won’t be saying that if you end up somewhere cold or are soaked and need to be warm while drying. Small sewing kit – While mending clothes may not be at the top of your survival list, stitching shut a wound just might be so it pays to be prepared with a needle and some thread. As a final note, make sure to dress appropriately for a potential survival situation when traveling. Wear comfortable hiking shoes, durable pants with pockets, breathable layers and lightweight but effective outerwear. Whatever you don’t end up wearing, make sure to place into your bag, such as a lightweight Gore-Tex parka, a bandana, extra hiking socks, and sunglasses. And, of course, make sure that you use a durable, many-pocketed bug out bag that can get you home. Safe travels. Ben Brown is the owner of The Prepping Guide. Involved in Military for many years and write about Personal Security, Preparedness, Prepping, Survival, Self-Sufficiency, and Readiness for Safety, both Physically and Digitally.